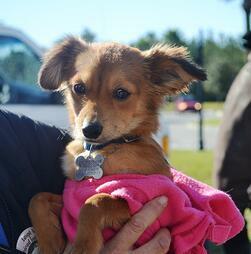 A Day for the Dogs at the January Nocatee Farmers Market! 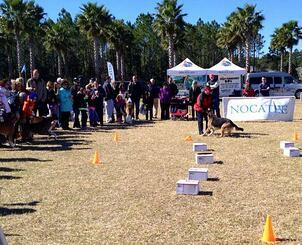 Over 3,000 Nocatee residents, community guests and canines enjoyed a very special Dog Lover’s Day themed Nocatee Farmers Market on Saturday, January 18th. 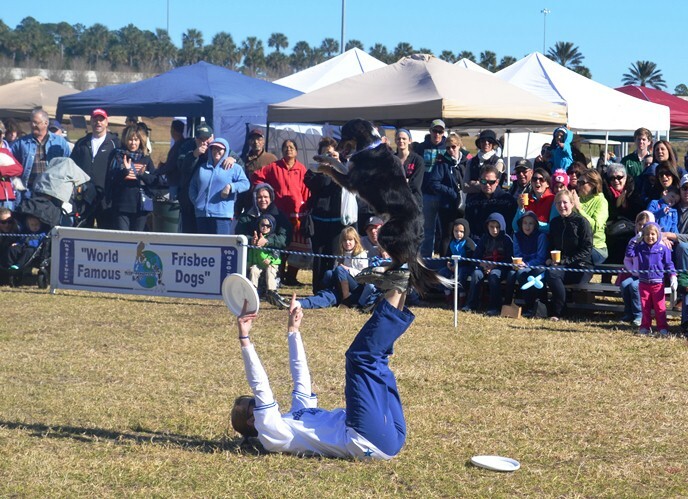 The day of family-friendly fun featured special performances from the world famous Disc-Connected K9 Frisbee Dogs and dog obedience demonstrations from the K-9 Obedience Club of Jacksonville. Seven different animal shelters were on site to host pet adoptions, and over ten dogs found their new homes. Families enjoyed shopping for unique finds around the farmers market while watching the talented Disc-Connected K9s and their trainers put on two different performances. Many families brought their furry friends along with them for this Nocatee event- leading to some very happy pets excited for a day out on the town. However, no canines were quite as happy as those adopted into a new home! The Market is held every third Saturday of the month between 10:00 a.m. and 2:00 p.m., and is open to the public. Stop by the Nocatee Welcome Center or call 1-800-NOCATEE to learn more about the community and monthly Nocatee events. To see additional event pictures from the Florida-Times Union, click here.